Cooling towers or cooling towers are the perfect option for a large number of companies in the industrial sector to perform liquid cooling with low energy consumption and environmental respect. Thanks to the advancement of these structures and the new materials used to carry them out, more and more industries are opting for this solution for the different processes involved in high temperature liquids. These structures of large dimensions are used, as we have already mentioned, to cool large amounts of liquid in different industrial sectors. To achieve your goal there are two ways to do this work. The heat can be extracted by evaporation or by conduction. Any of these options is much less expensive at the energy level than other forms such as walls with heat exchangers. These structures of large dimensions are used, as we have already mentioned, to cool large amounts of liquid in different industrial sectors. To achieve your goal there are two ways to do this work. The heat can be extracted by evaporation or by conduction. Any of these options is much less expensive at the energy level than other forms such as walls with heat exchangers…. 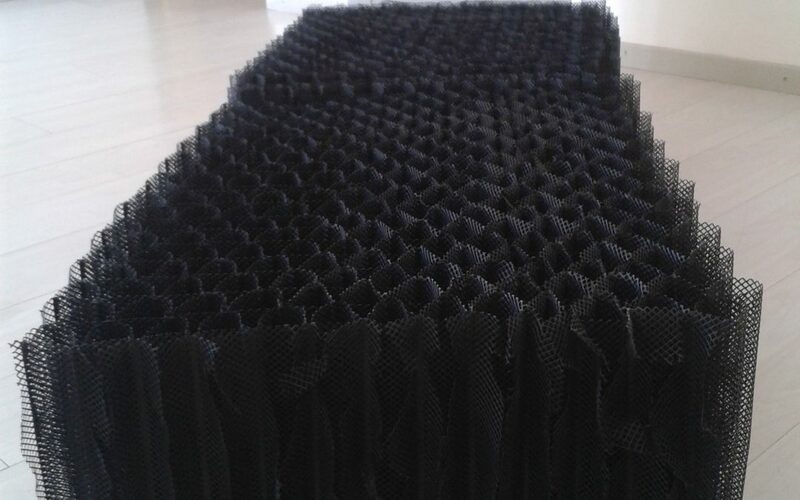 In addition, the use of a good filling for cooling towers or cooling towers achieves by its increase in performance, reduce significantly and therefore ensure that it is a process with a very low power consumption. Control y Ventilacion, S.L. not only is specialized in the manufacture of cooling towers, NUCLEOS Towers, but especially in the filling and the separator of drops, PANAL C & V and SEPARADOR C & V, which incorporates its towers, but also to practically all existing towers in the market, given that, due to its characteristics, especially in terms of area of exchange, it maximizes the returns that these can offer. On the other hand it is a flexible and very manageable filling, High Density Polyethylene, of a very easy and fast installation.